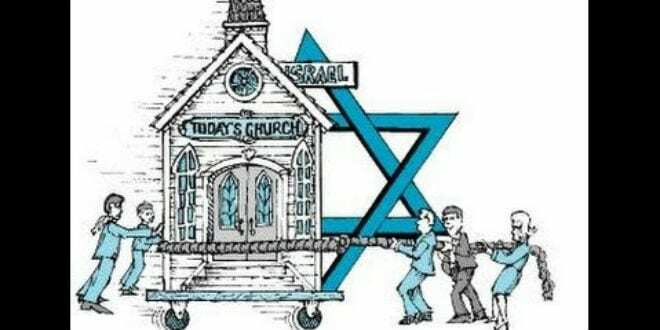 You are here: Home › Is Replacement Theology Fueling Anti-Semitism in America? Is Replacement Theology Fueling Anti-Semitism in America? In the wake of the Pittsburgh atrocity on October 27, the founder of a nationally recognized watchdog group – active in confronting anti-Semitism – issued a stark warning about the dangers of replacement theology fueling an uptick in Jew-hatred. She also echoed words that Britain’s former Chief Rabbi, Lord Jonathan Sacks has used to consistently warn the world of the inherent dangers of enabling or excusing virulent Jew-hatred. “History has shown that anti-Semitism doesn’t stop with the Jewish community; this hatred will soon be directed at other people of faith as well,” Cardoza-Moore added. PJTN was established to help educate about and confront the rise of anti-Semitism in the church and around the world. The organization seeks to educate Christians and Jews and people of any faith who desire to stand against this most ancient of hatreds – both in the United States and globally. Cardoza-Moore cited the seldom recognized aspect of ‘replacement theology’ as a major fuel for anti-Semitism in America. Robert Bowers, a Christian Nationalist quoted from New Testament scriptures to legitimize his anti-Semitic, replacement theology doctrine, as he murdered 11 members of the Jewish community in Pittsburgh. Replacement theology is a first century A.D. teaching that Ignatius of Antioch – an early Gentile Christian church founder – espoused; namely that Christians and the church replaced Israel and the Jews as God’s chosen children. PJTN is concerned that it is a doctrine that is still popular and is being actively preached “by a growing number of pastors and church leaders in many religious institutions in America”. To add fuel to this fire, Cardoza-Moore noted, “Anti-Semitic and anti-Israel content in our U.S. textbooks and instructional materials has also given rise to violence against Jewish students on secondary school campuses. In 2009, PJTN produced an award-winning documentary titled, The Forgotten People, Christianity and the Holocaust that exposes the false doctrine of replacement theology and the shocking history of Christian anti-Semitism. And the servant of the Lord must not strive; but be gentle unto all men, apt to teach, patient, in meekness instructing those that oppose themselves; if God peradventure will give them repentance to the acknowledging of the truth; And that they may recover themsevles out of the snare of the devil, who are taken captive by him at his will. I charge thee, therefore, before God, and the Lord Jesus Christ, who shall judge the quick [living] and the dead at his appearing and his kingdom. Preach the word; be instant in season, out of season; reprove, rebuke, exhort with all longsuffering and doctrine. For the time will come when they will not endure sound doctrine; but after their own lusts shall they heap to themselves teachers, having itching ears; And they shall turn away their ears from the truth, and shall be turned to fables. But watch thou in all things, endure afflictions, do the work of an evangelist, make full proof of thy ministry. I believe God worked to lead me and bring “A Crooked Path” – both the website and the book about. I thank God and Jesus Christ the Lord for pushing on my spirit and soul to become an active servant and not a passive bystander. I pray I am a faithful servant for God, for Jesus in all things. I thank God daily for sending His Son, Jesus Christ the Lord, as the Sacrificial Lamb for the forgiveness of sin. For without that, I, and all thankful believers would not have the opportunity of eternal life. I live in the hope of pleasing God, living for His pleasure, honor and glory. I am the bond-servant of God, Jesus Christ the Lord and the Holy Spirit to do Their will, according to The Word of God. May I do all things with and from a pure Biblical walk. I am but a man. Still flesh. Making mistakes daily. Learning as I take each step. Aware that I am nothing without the salvation and grace of Jesus Christ, and that the Lord came to this earth to teach us, endure such humiliation and unlawful abuse, taking on the sins, all sins of all people — I live daily thinking on what it must have been like for Jesus to have to be abandoned by God in those moments He took my sin, the sins of every person upon Himself. The pain and experience of that incomprehensible to my finite, feeble mind. I shudder and bow in reverence in this knowledge. I am not a man trained in theology. Not a learned man of seminaries. I will at times certainly show my warts, frailties and imperfections here in this place. Bear with me. Pray for me that I live and work to know and do the will of the Lord. God’s will be done, not mine. May I be but a humble servant doing what I might by the grace and mercy of our Father and the salvation of Jesus Christ the Lord. Purchase Ken's book "Wilderness: A Crooked Path to the Promised Land" in either page titled "Store" or "The Book" Available in paperback and Kindle editions. © 2019 A CROOKED PATH. All Rights Reserved.